Currently our implementation of multi-project pipelines is quite limited. One of the most important things that are missing is a feedback mechanism. 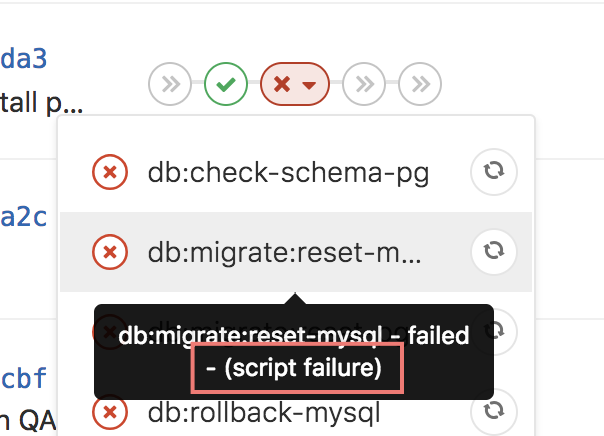 We can trigger an external pipeline using a multi-project pipelines feature, but the problem is that a triggering pipeline does not wait for the external pipeline status, thus there is no feedback about whether the external pipeline succeeded / failed in the first pipeline. Currently we need to use custom scripts implementing a loop with API polling, which is not a great solution, especially when we want to create a little more complex multi-project pipeline with upstream feedback. There are use cases where you want a pipeline to wait for a sub-pipeline to finish, but other cases where you don't. And then even if you waited for it to finish, some cases where you wanted the parent pipeline to fail if the sub-pipeline failed, and other cases where you don't. Failure attribution, mentioned in "MVP" above, is a pretty critical feature. It should really have gone hand-in-hand with triggered builds. From what I remember, Bamboo has supported triggered builds, and more importantly, evaluating the success of triggered builds, for years. I'm specifically interested in failure attribution for gitlab-ee#39640. I even wrote a small tool called pipeline-commander to trigger the build from within a pipeline. That seems to be far more complicated than letting GitLab's job executor handle it though. git reference, e.g. tag, branch, commit (optional, default to latest from master) In all of those cases it should be possible to use environment variables for filling in values. Also, to be very clear, the absolute best feature that this would enable is automatic tagging of (candidate?) releases after all testing (including integration) had passed successfully! That's kind of the Holy Grail of DevOps, no? Implement first-class multi-project pipelines triggers with upstream feedback. That won't cover all the cases, but it would cover the majority of them. Upstream pipelines are now able to wait/depend on downstream pipelines to finish and change their status accordingly.